Identify distinguished nonfiction books to enrich students' knowledge base in history, social studies, science, and the arts. Build knowledge with quality books that juxtapose informational perspectives and factual analysis. 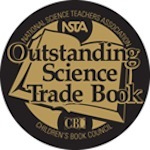 Examine social studies and science text sets by selecting a grade band. When selecting texts for your next unit, search for the subject under the subject AND booklist tabs. Use these lists as a starting point!